I am entering the “Blog-o-Sphere” with Data, Context, and a Disclaimer! Data.gov is the world’s first open government data site, and we have learned a great deal in the months since its launch on May 21, 2009. 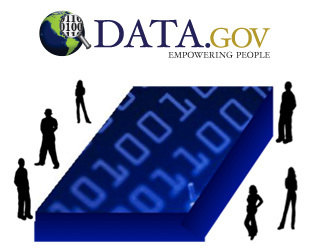 We have built relationships with 250 agency and sub-agency points of contact (POCs) across the Executive Branch, and collaborated with them to develop a Government-wide tool and workflow mechanism called Dataset Management System (DMS) to make it easy and smooth for agencies to submit high-value datasets for publication on Data.gov. Without their collaboration, Data.gov could not be a rich repository open to everyone. The DMS supply chain pipeline tool, process, and policies are now finally in place and a steady release of datasets and tools can begin to flow as expected. However, internal governance within agencies remains a challenge to process and release “high-value” datasets and tools with a new volume of public expectations. 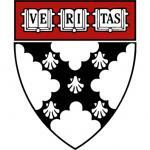 Harvard Business School Publishes Case Study on Data.gov! Recently, Data.gov was the subject of a case study by the Harvard Business School, authored by Professor Karim R. Lakhani, Ph.D., Professor Robert D. Austin, Ph.D., and Ms. Yumi Yi. Cases studies are the primary method for instruction at HBS, and we are very excited that Data.gov will be discussed and debated by the brightest future business leaders in the country. 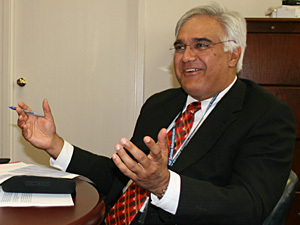 Professor Lakhani worked closely with Federal CIO Vivek Kundra and the Data.gov team to research the case study, which presents the background and goals of the program, development of the site, value to citizens, and some of the challenges remaining before us. The Data.gov case study was presented for the first time this summer at a week-long HBS executive education course for technology executives, with the Federal CIO in attendance. The case study is now available free of charge for Government employees only (thanks Harvard!) on the Data.gov site. It is also posted on the Harvard site as well. Even as we continue to work closely with agencies to populate Data.gov, we are entering a new phase and a new world of “utility computing” in the “cloud”. 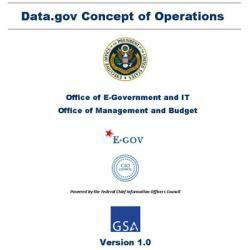 In the first year, we were one of the first U.S. Government websites utilizing content delivery network (CDN) and cloud services for our Information Technology (IT) infrastructure, resulting in $6M cost avoidance, while handling the appropriate scalability, security, and flexibility requirements for open data. In our second year, we are also focusing on putting the data to work for the public. We’ve just made an announcement that we believe will change the landscape of how government will interact with data: we’ve just awarded a contract for shared dataset hosting and distribution. These GSA contract awards for cloud-based data hosting support will enhance the public’s ability to find, extract, and use valuable data from all levels of governments and are available to all agencies at the federal, state, local and tribal level (http://www.gsa.gov/portal/content/195569). With this advance, datasets will be hosted not only by Federal agencies but in the cloud as well. Why should you care? Not only will the data be easier for everyone to use, from the most sophisticated developers to the average citizen, but it will be easier to see the data from many viewpoints. And when the data is updated at the source, it will automatically be updated wherever it’s already been used. If you put Data.gov embedded data in an online article, your information will be current forever. It’s real-time, dynamic data. Developers will be able to get the data through feeds and APIs so that they can more easily polish “raw data” into something that is simpler for the public to use. And metadata will be richer and more searchable. Plus, we can cut total costs and save money for agencies through this contract by avoiding duplicative IT infrastructures and that is a “sunny not cloudy” value proposition! The First International Open Government Data Conference Concludes Today…. As the leaders in building the international open government data community, we’re hosting the world’s first International Open Government Data Conference from November 15-17, in Washington, DC. Open to the public who registered, the conference presents technology experts and policymakers a chance to learn how to solve mission problems together and be on the cutting-edge of the open-data field. We have 350 participants from 5 continents, 10 nations, and 31 federal agencies at the conference! We have noticed (and been told directly) of a groundswell open movement from a “few points scattered across the globe” to a “rising community across the globe” that is growing, thanks to Data.gov. Sixteen US States, 9 cities, and 7 countries have deployed data.gov sites and more are planned. Please join the discussion in Washington and the global movement for the democratization of data. This movement brings together technologists and policy makers, students and homemakers to make data available, accessible, and understandable in ways that help citizens make better informed decisions every day. As our logo implies, the theme for the conference is a “global movement for the democratization of data” and we subscribe to the philosophy of Justice Brandeis: “Sunlight is said to be the best disinfectant”. The Federal CIO Vivek Kundra and Sir Tim Berners-Lee provided the opening keynotes for the conference. The Federal CIO announced the release of the CONOPS, Harvard Business School Case Study, and mentioned the follow-on Open Government Data Camp in London, UK from November 18-19, 2010. He also mentioned three priorities for open data and “apps”: improve accountability of the Government, improve daily lives of the public and the economy, and data curation/app development. The future of data.gov is envisioned in open APIs, cloud, global collaboration and challenges (through challenge.gov, etc.). The agenda and conference information is posted on the What’s New and conference section of our website. You can follow the open dialogue or on Twitter. We hope to see you in-person or hear from you on-line! The Only Thing Constant is Change…Empowering People in the Digital Public Square! I believe in Gandhi’s maxim, “we must become the change we want to see in the world”. We know the only thing constant is change and the “digital public square” is a place to empower people to share ideas to make government services more effective, accessible, open and transparent. What we’re all doing, all of us, in this new world of open public data is leveraging and advancing the powerful inventions and ideas of all those before us (especially our founding fathers around 1776, who established the greatest country on Earth based on powerful open government principles)! A journey of a thousand miles begins with a single step. From 47 datasets and tools in our initial launch on May 21, 2009, we have grown to 305,692 datasets and tools, 2,049,984 visitors, 139,271,953 hits, and 1,292,736 unique downloads (http://www.data.gov/metric)! Citizens have created 236 new applications and the Government has released 23 mobile applications based on open government data (http://www.usa.gov). We need to see how we can improve and measure usefulness of our data. I expect to be provocative, you may agree or disagree with my point of view – I hope you let me know. It’s up to us to jointly chart a new course by exchanging ideas so that we can be sure we’re moving forward in the most productive way and harnessing the power of open government and data for the public good. I look forward to the ongoing conversation and learning from you… after all, it’s all about the data! Will slides be posted for the last two items on the agenda and/or a summary and next steps? We will be posting a summary and next steps in a couple of weeks. Thanks for the comments! Thank you for an excellent conference and posting the slides so quickly. I look forward to seeing the summary. I would suggest a forum where every attendee and virtual participant could post what there are going to do next as a result of this conference, one thing they learned from their interactions, etc. This would generate collaborations going forward and content for the next conference. The points explained in the post are clear and all are proving what you have written in these post.. My point is that i want to invest in this new technology for my business. However; since I have read some stuff about cloud computing information and security, i become somewhat septic to invest in term of data storage safety, so to what extent is it safe enough for data storing and which are the best reliable companies affording quality services. 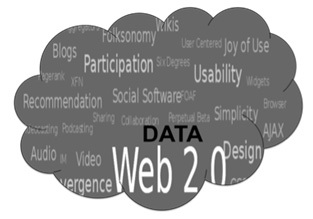 For cloud computing will become the next trend generation for effective business management.